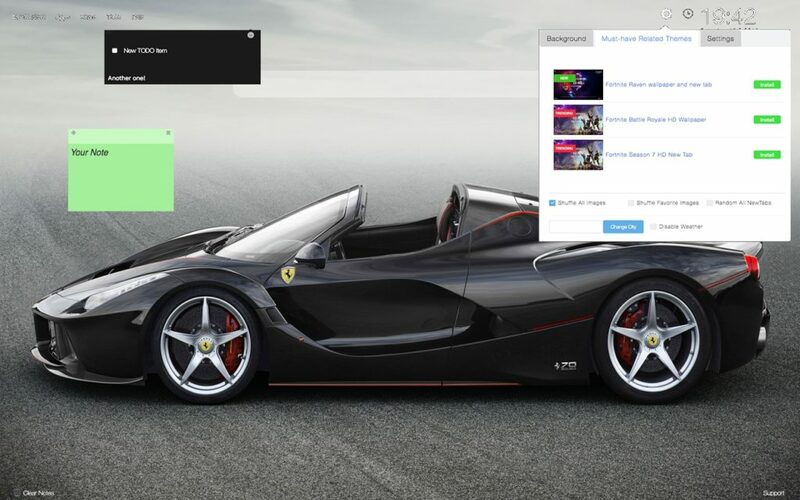 We present you our new Ferrari LaFerrari Wallpapers New Tab Themes extension with beautiful random wallpapers of one of the most amazing cars in the world. 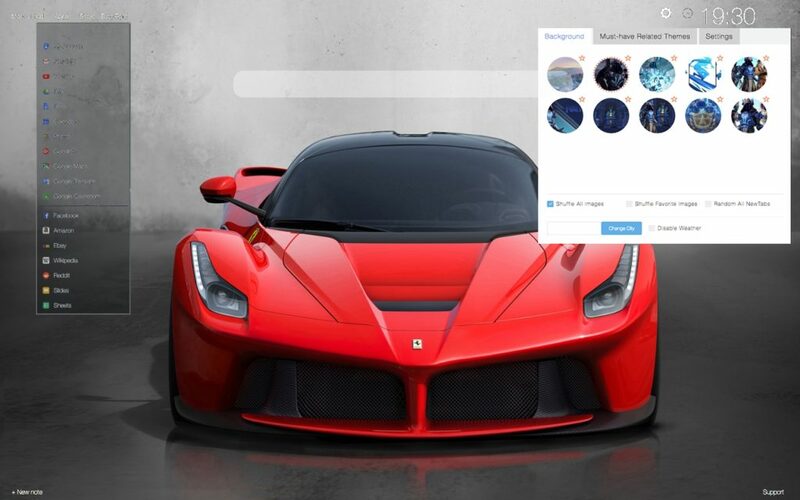 It offers different LaFerrari backgrounds that will appear each time you open a new tab page. Moreover, it provides many other useful features that will definitely improve your browsing experience. 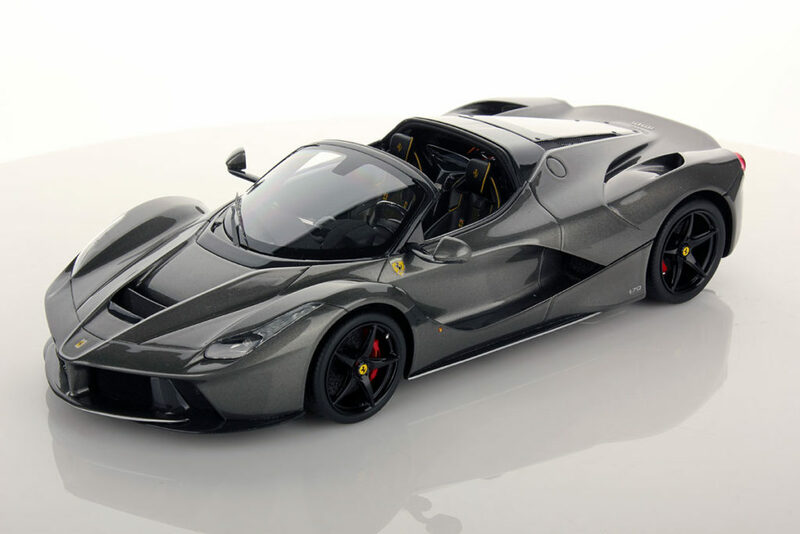 LaFerrari with its project name F150 is a hybrid sports car, made by Italian manufacturer Ferrari. 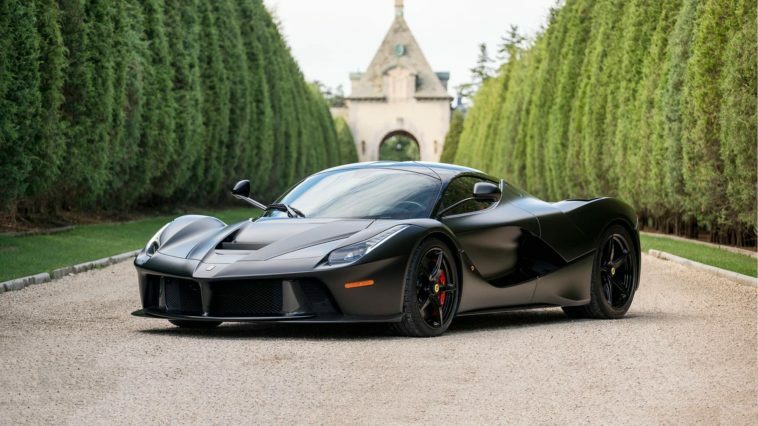 There are two versions of this car: LaFerrari that has been produced from 2013 till 2016 and LaFerrari Aperta (2016-2018). 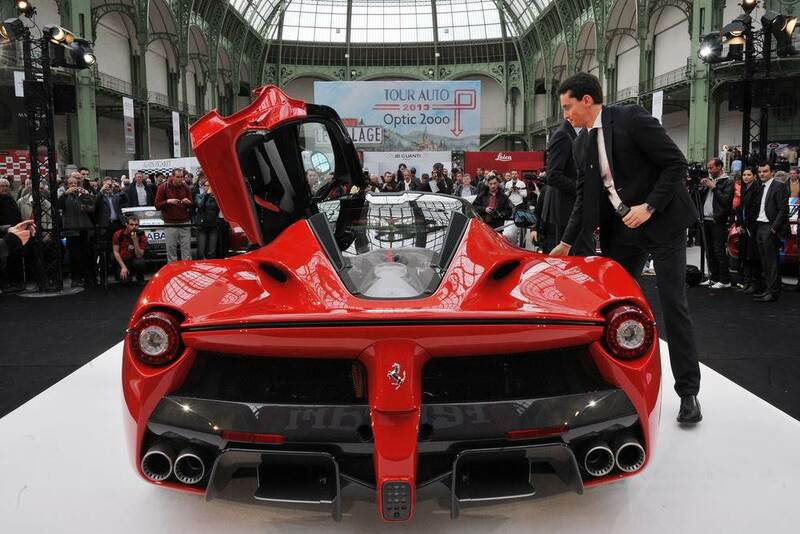 LaFerrari is based on findings from testing of the FXX prototype. 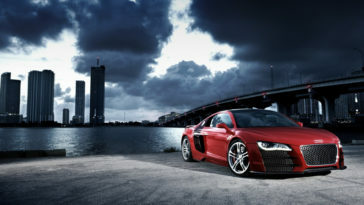 They produced only 499 units of this car, and each one of them costed more than 1 million US dollars. Aperta is actually an open-top verision of LaFerrari. 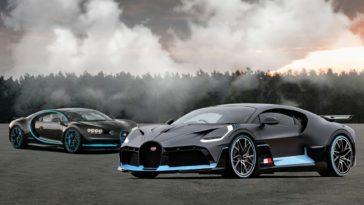 There were 200 of these cars sold, and additional nine were reserved for Ferrari 70th Anniversary celebrations. LaFerrari became the first mild hybrid that the company produced. It has been provided with highest power output of any Ferrari road car and the fuel consumption was decreased by 40%. 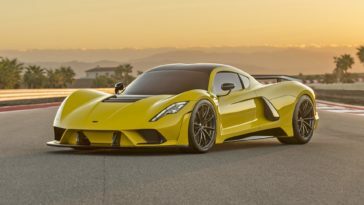 Its internal combustion petrol powerplant is longitudinally rear mid-mounted Ferrari F140 direct fuel injected 65 degrees V12 engine with a displacement of 6.262 cc. It is equipped with carbon.ceramic Brembo brake discs and with Pirelli P Zero Corsa tyres. 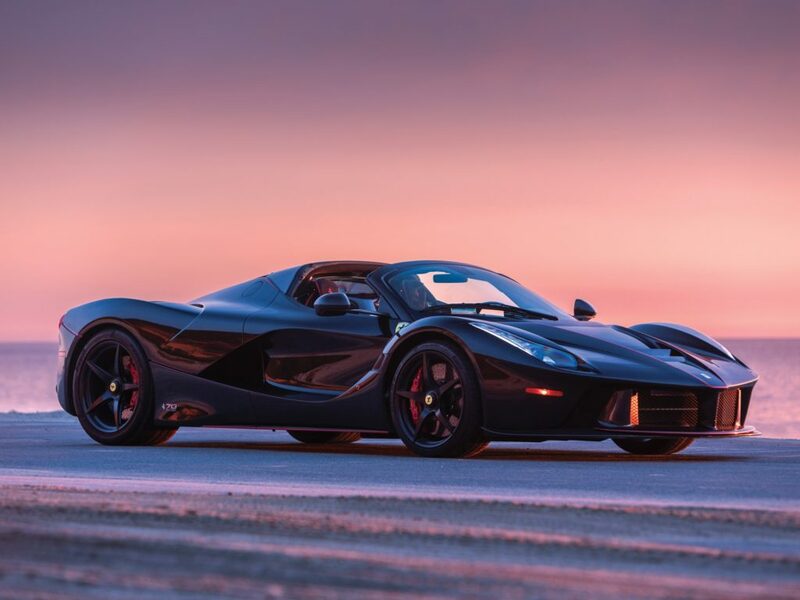 LaFerrari also has many electronic controls including electronic stability control, high performance ABS/EBD, EF1-Trac F1 electronic traction control integrated with hybrid system, E-Diff 3 third generation electronic differential, SCM-E Frs magnetorheological damping with twin solenoids and active aerodynamics. The body computer system has been developed by Magneti Marelli Automotive Lighting. According to Ferrari, this car has a top speed and can exceed 349 km/h which is similar to Enzo’s top speed. It can accelerate from a standstill to 100 km/h in 2.4 seconds. When it comes to its design, it is the first Ferrari since Bertone-styled Dino 308 GT4 not to have Pininfarina bodywork or other styling. Its cockpit stands out because of the sportiness of shape and essentiality. The steering wheel has integrated controls and gear levers fixed to steering column. There is a bridge between two seats that has been designed like suspended wing and is home to other instruments linked to gearbox. 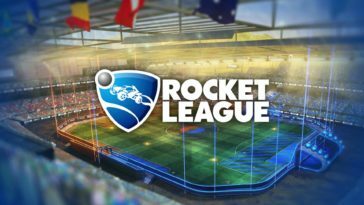 The 500 LaFerrari was announced on 31st of August in 2016 and the vehicle was supposed to be sold at auction, where all the money went to help central Italy recover from earthquake that occured on 24th of August that same year. However, that auction took place on 3rd of December, 2016 and all proceeds went to National Italian American Foundation’s Earthquake Relief Fund. The car was sold for $7.5 million. It became the most valuable 21st century car, which was sold at auction. The last unit of Aperta was also auctioned in 2017 for 10 million US dollars. 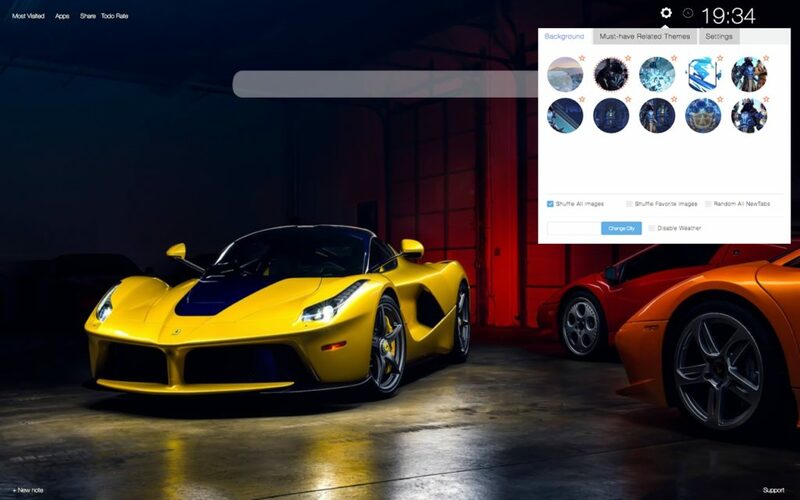 LaFerrari is fast, secure and it will improve your browsing experience. 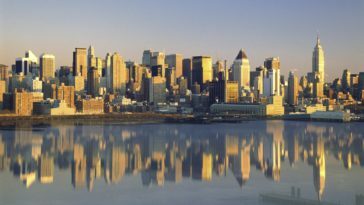 There are no restrictions for ages, our extensions are available for all, for FREE. LaFerrari like all our other extensions are flexible and modular. There are tabs and modules that you can easily configure, show or hide within one simple Settings panel. 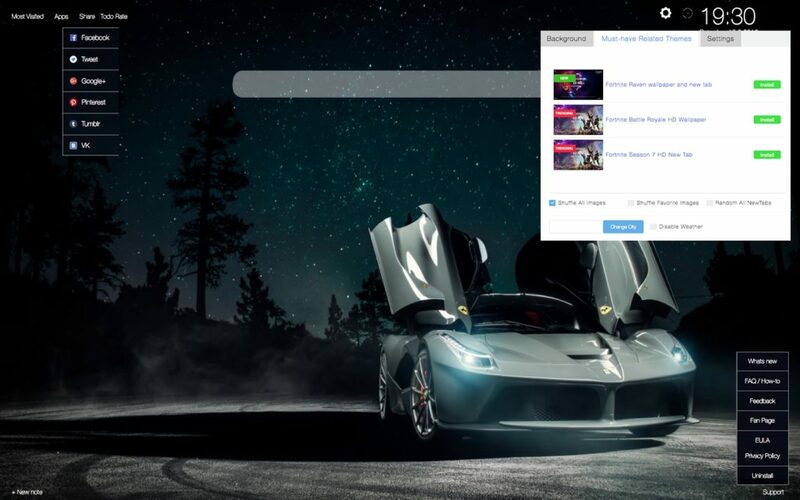 LaFerrari is packed with high quality HD wallpapers, art and drawings from various places and authors, some are very popular. 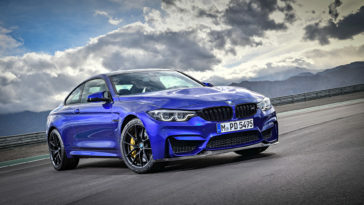 BMW Cars Wallpapers for Your Browser! 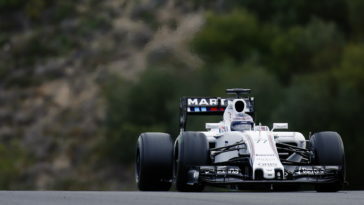 Formula 1 Wallpapers for All Fans! 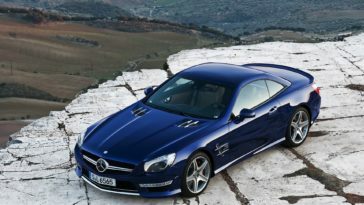 Mercedes Cars Wallpapers for All Car Fans! 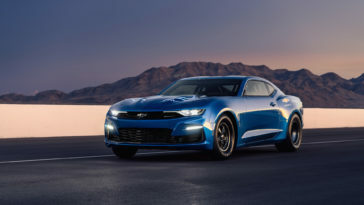 Chevrolet Camaro Wallpapers for Car Fans!